I don’t know how it works, but I certainly appreciate the technology – noise cancellation in headphones. Touch a button, and distractions are closed out. I am able to hear clearly and solely that to which I choose to listen. The technology brings me to a new awareness of just how much noisy distractions stand in the way of focused and attentive listening. Indeed. 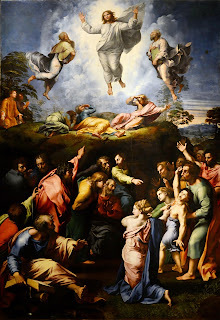 Since Jesus is God’s Son, revealed on the Mountain of the Transfiguration as having come from the Heavenly Father, as being the fulfillment of the hopes of ancient Israel (symbolized in the presence of Moses and Elijah), and as having mysteriously both a divine and human nature, the question poses itself: why would we listen to anyone else?? St Peter summed it up best when he said to Jesus, “You have the words of everlasting life” (Jn 6:68). There is no one else to whom we should go; no one else to whom we must listen. But, oh, the noise that distracts from the voice of Christ! 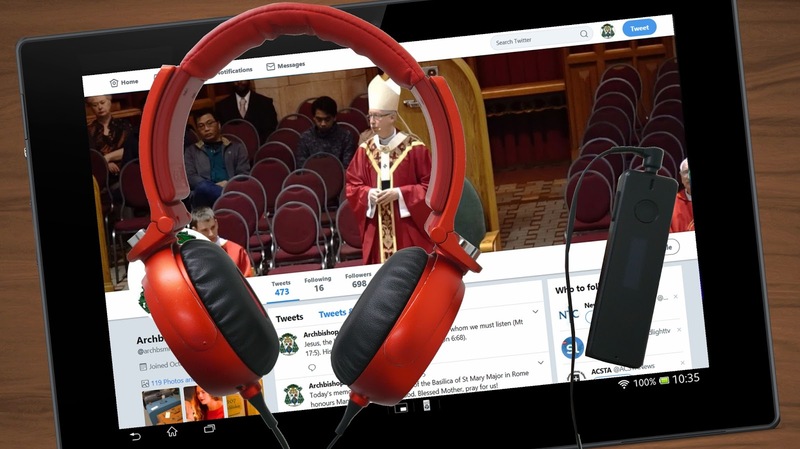 We need think only of the multiple and incessant anti-Gospel messages that bombard us via the Internet, social media, and television and radio programming to realize how difficult it is to heed the command of the Father to listen to His Son. This awareness grows even more acute as we consider the “noise” of persistent anxiety or worldly desires. We need noise cancellation! Yet, how do we do this? Is it possible to close out all the distractions? Well, it certainly involves more than flicking a button on a headset. What is required is a deliberate decision, made on a daily basis, to be focused and attentive. This is what St Peter meant when he wrote, “You will do well to be attentive to this [ie, the truth revealed in Christ] as to a lamp shining in a dark place, until the day dawns and the morning star rises in your hearts.” (2 Pe 1:19) Practically speaking, this means developing the habit of looking for moments in the day when I can give over all the noise, all the worries and distractions, to Christ, and ask him for the grace to be focused upon him and his Word. We could ask ourselves: what distraction might I lay aside (watching a TV show, scrolling through tweets or posts, or looking at yet one more Internet site) in order to read the Gospel of the day? Focus upon a line or passage that stands out and allow it to percolate. How does it speak to my heart? To what action is it calling me? I worry that we easily getting caught up in the trap of listening to any number of voices other than that of Christ. Let’s reverse this and engage noise cancellation, allowing into our attention the one voice that leads to life: that of Jesus Christ.